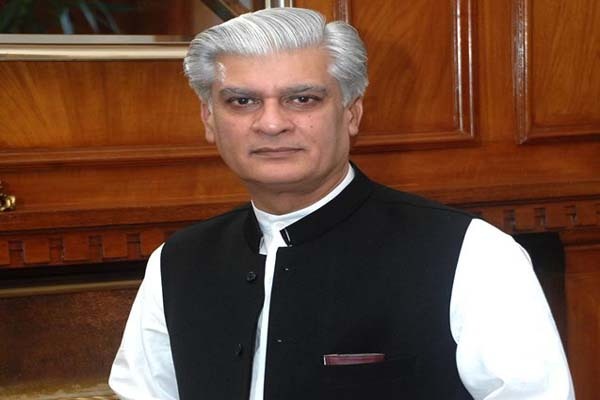 ISLAMABAD, June 24 (APP): Special Assistant to Prime Minister on Political Affairs Dr Syed Asif Kirmani on Friday expressed optimism that Pakistan Muslim League-Nawaz would form government in Azad Jammu and Kashmir following landslide victory in polls. Addressing at Iftar dinner hosted in honour of PML(N) ticket holders for AJK elections urged the party workers to remain united to defeat the opponents who had been wasting the public money during their government. up masses support for his election. the party candidates should step in for elections in high spirit to carry forward the development-oriented agenda for masses. He said Muhammad Nawaz Sharif had always worked for the development of AJK and highlighted the Kashmir issue at each forum, boldly and vigorously. Pakistan in all respect and Muhammad Nawaz Sharif was successfully going ahead with his sincere efforts to accomplish this task. He said that trust should not be reposed in the looters and plunderers and PML-N was standing behind Kashmiri masses. He said those who could not get Party tickets should not get dishearten rather they extend hand of cooperation to win election, adding they would be accommodated during government formation process. He said Prime Minister had wish to participate in ticket awarding ceremony and provide guidance for the election campaign and development works in AJK, but he had to go abroad due to his health. workers along and work for the masses’ welfare. He urged the party workers to maintain discipline and unity to effectively work for development and prosperity of AJK. come foward to support PML-N in elections. that the PML-N won the elections.